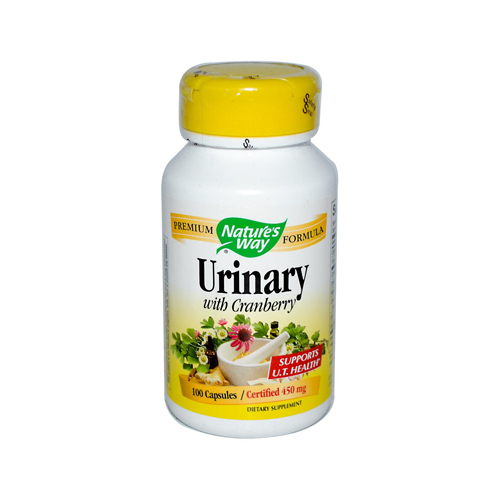 Nature&apos;s Way Urinary Formula is an advanced dietary supplement representing the powerful synergy of current science and traditional herbal medicine. Cleavers Herb (180 mg, Corn Silk (150 mg), Cranberry Concentrate (fruit, 600 mg), Dandelion Leaf (180 mg), Goldenseal (stem, leaf, flower; 60 mg), and Marshmallow Root (180 mg). OTHER INGREDIENTS: Gelatin, Magnesium Stearate, Millet.